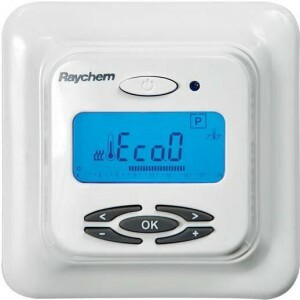 Raychem Greenleaf Underfloor Heating Thermostat. Click here to order Raychem Greenleaf Thermostat. No one likes to spend a fortune on electricity. That’s why the Raychem underfloor heating systems and Raychem thermostats are designed to minimise electricity costs. 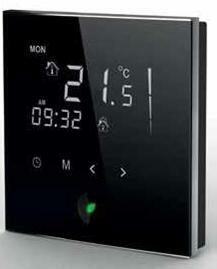 The GREEN LEAF Thermostat has a contemporary look and feel. Click here to order Raychem NRG thermostat. Digital timer thermostat for floor sensing or/and room sensing applications including min. and max. floor temperature limitation function.